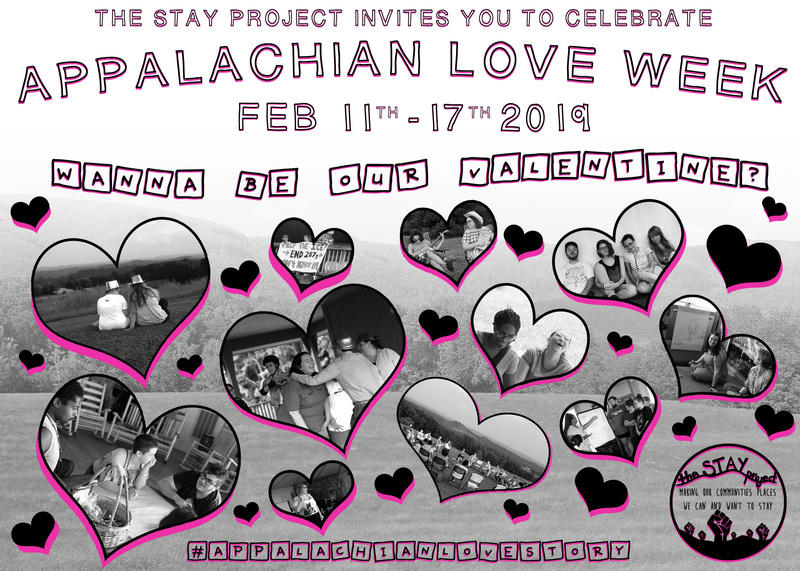 Appalachian Love Week is the STAY Project's annual fundraiser and storytelling week —it is a celebration of the beautiful and complex lives we lead here and an opportunity for us to ask for the support we need to be to keep building an Appalachian youth movement. 1. That our members, the young people in Appalachia share their #AppalachianLoveStory with us on social media (more about that campaign can be found here). 2. That those that are able to give, make a donation to support our work.